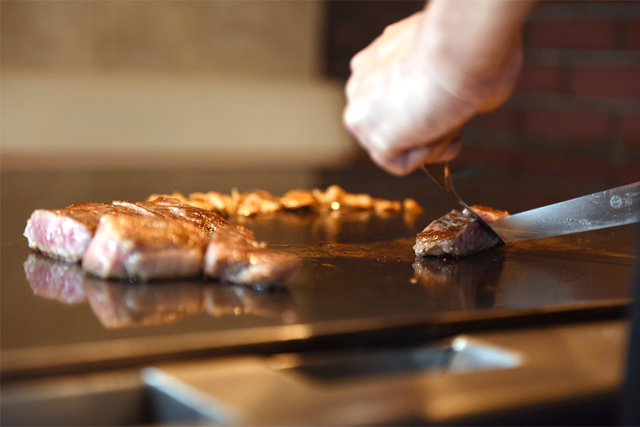 With the demand to eat Kobe beef growing year after year, teppanyaki remains the most popular way to enjoy the world’s most sought-after meat. 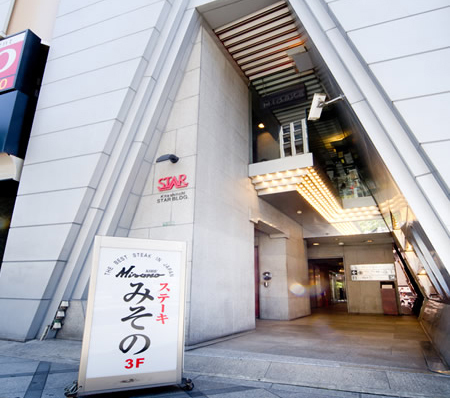 This authentic style of Japanese cuisine was first created by none other than Misono. 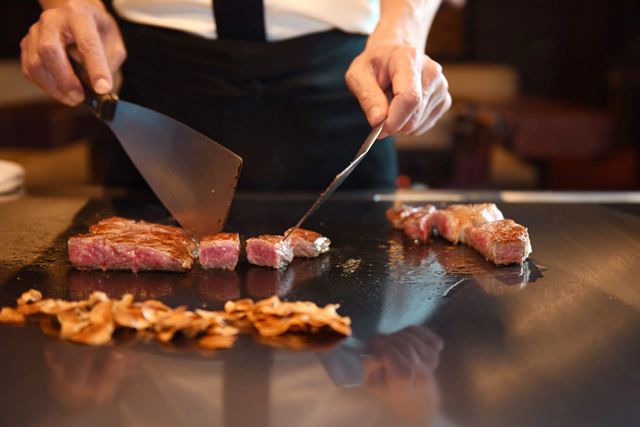 Opening in 1945, Misono has mastered art of teppanyaki and possesses the knowledge and technology required in order bring out the best from Kobe Beef and wagyu beef. 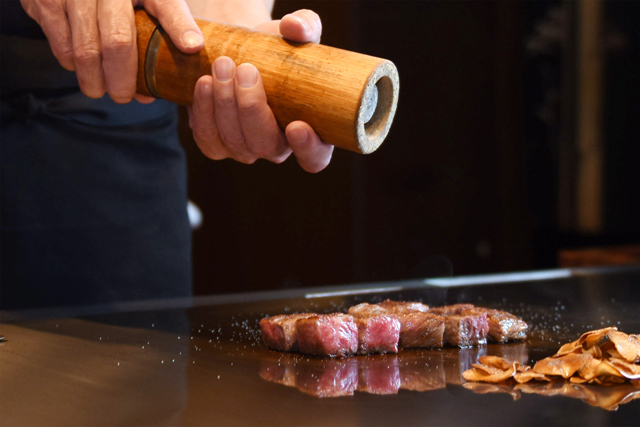 Misono proudly presents the Misono Selected Beef, a line-up selected from top quality domestic A4 and A5 ranked kuroge wagyu beef. 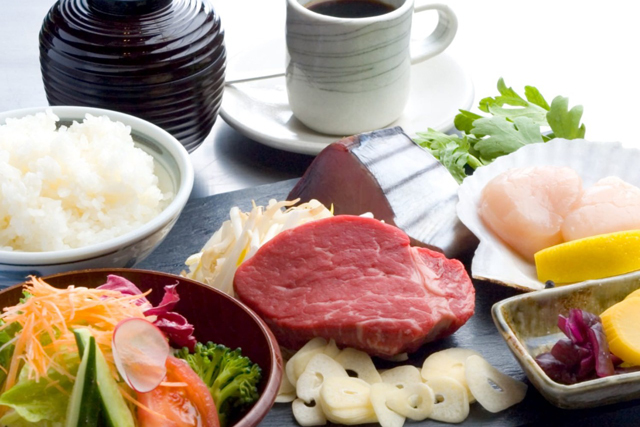 Ever since its establishment, Misono has been especially selective about only providing beautifully marbled loin meat. This is because loin is even richer in taste and texture and also said to be more nutritious than the fillet which contains less fat. Misono’s experienced procurement department is unerring in its appraisal. 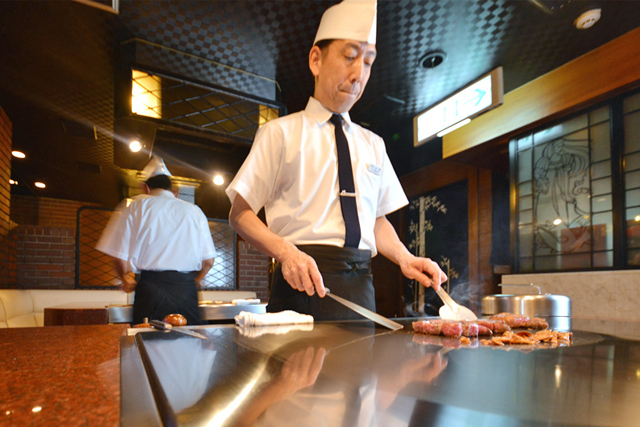 Please enjoy Misono Selected Beef selected from meat that was adjudged to be in the best quality that day. 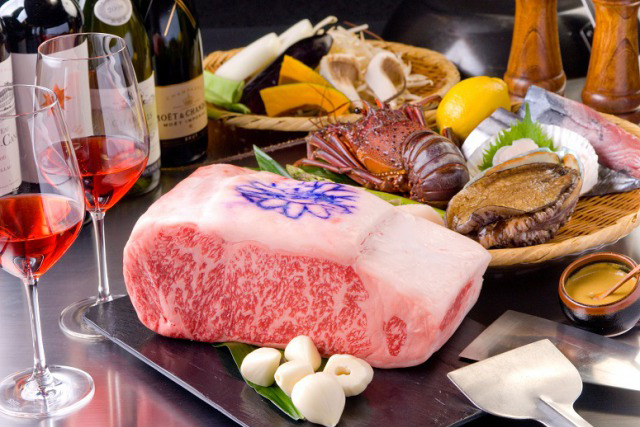 Enjoy premium Kobe beef in Osaka, the city of gourmet food. 1 minute walk from Exit 11-43 of the JR Tozai Line Kitashinchi station. 5 minute walk from the Exit 9 of the Subway Tanimachi Line Higashi-Umeda station. 5 minute walk from Exit D28 of the Hanshin Main Line Umeda station. 8 minute walk from JR Osaka station. *Please see the reservation page for menu details. 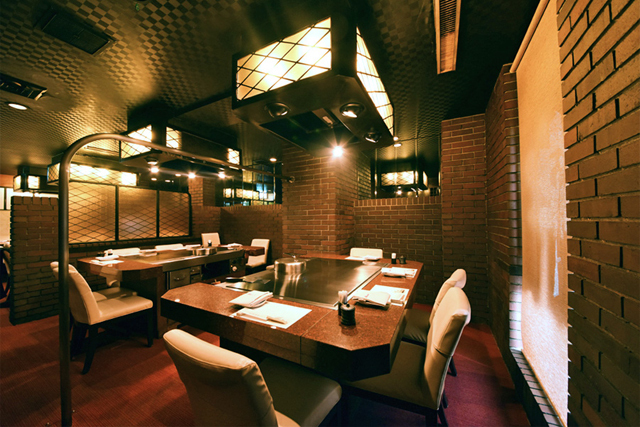 36 Seats: Zashiki-style seating (cushioned seating on tatami flooring) and counter seating available. 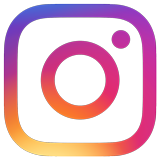 Up to 1 child (aged 12 and under) who is not ordering a course allowed. Courses or à la carte dishes must be ordered for 2 children or more.